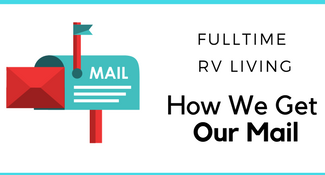 One of the big things we get asked about full-time RV living is how we plan our trips and book campsites. While everyone is a bit different here is our process, the memberships we have, and how we save the most money! Before we start the booking process we have to decide where we are going to go. In many cases, we have an idea or general outline of a plan nailed in Jello. Basically, we are just winging it. We tend to book 2 -3 locations ahead of where we currently are but like right now? We have no clue where we are heading next and we are ok with that. Our current plan is we know by May will be visiting hubby’s grandfather. Our path there is in the air. One summer we planned to be in Maine during the head of the summer, we took a leisurely path there and hung out in New England before heading out to Texas. That said, we will plan our next full-time RV living stop a few factors. One is if there is anything on our buckets lists we really want to see or do. 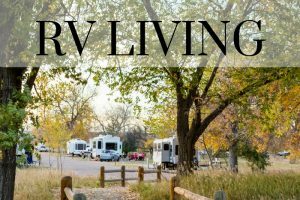 Another is where we can get the best deal on an RV park! We do that by following the procedure below. First, we look for a Thousand Trails campground. 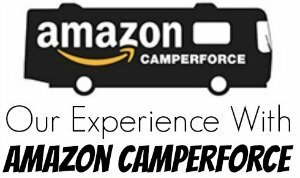 We do this because it’s free for us to camp there for up to 21 days before we have to move RV Parks. We made the leap to get a membership and now pay a yearly fee which is less than it costs to stay 1 week in most parks and we can stay for up to 21 days per park at a time. So we use these parks whenever we can! 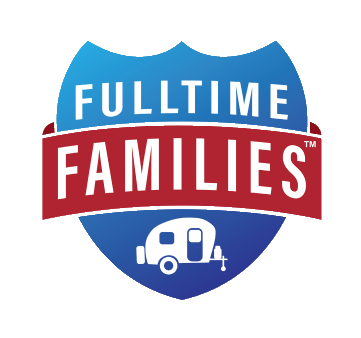 The membership is highly recommended for full-time RV living families. If we can’t find a Thousand Trail park our next stop is to see if we can find a Coast to Coast Campground which will only cost us $10a night. This is also a membership campground it was far less than Thousand Trails and the first one we bought! If we still can’t find a campground then we check out the National Parks which we can stay at for $15 with our National Parks Pass, and we look at State Parks too. From there we check out campgrounds on military bases since we have access to these (and I know not everyone will but if you do use them!) Most are first come first serve so we always have a back up in mind but we have never shown up to find a park full! Next, we check our RPI membership that came with both our Coast to Coast and Thousand Trails memberships. Sometimes we find a decent deal here and other times we do but it’s always worth checking. From there I check if there are any Passport America Campgrounds in the area. While many times there are restrictions on the dates and time we are able to make them work! You can get more info on Passport America Campgrounds in our Ultimate Guide to Passport America Campgrounds. Of course, you can’t beat the free campsites. Though we don’t do many of these because they tend to not have any hookups and we aren’t set up to boondock, we can get away with it for a few days. 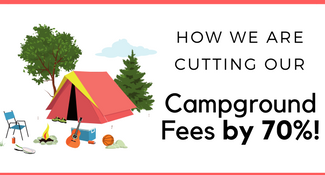 You can start with our How to Find the Best Free Camping Sites & Free RV Camping guide. If all else fails and we really want to stay in an area we will check out the weekly rates at the local RV parks. Parks will discount their rates if you stay for 7 days. Many times its 25% or a free night. Sometimes we just need a place to stay for one night as we are passing through. Many times we will stay in a Walmart parking lot if allowed or we try to find a Boondockers Welcome location. All else fails Passport America is a great way to find places for just one night as well. 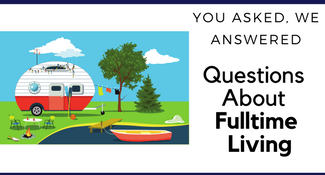 How do you book your full-time RV living campsites? I’d love to hear in the comments below! Hi Cheryl! The best advice I have with RVs is to head to an RV show and walk the RVs to see what you like and don’t like. Then watch for used ones, you can get a great deal on a used RV! 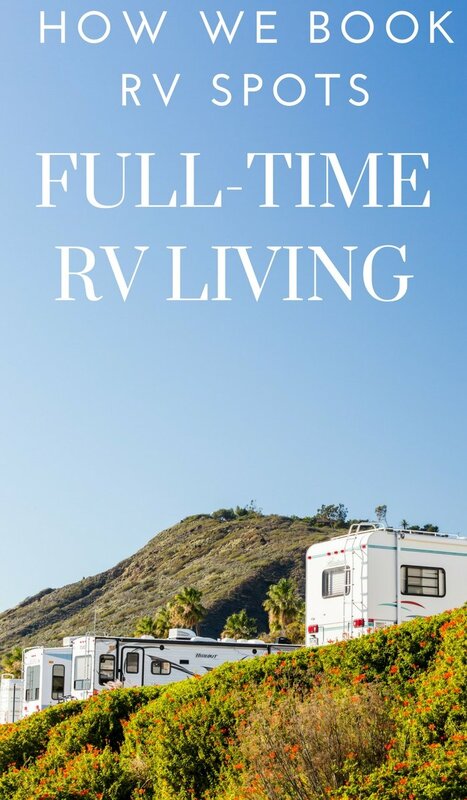 As far as books this one is a great place to start: https://amzn.to/2GF1uJp It’s written by another fulltime RV family. Let me know if you have any other questions I am happy to help!